Likely just a teaser, but c’mon! An armored Batman!! 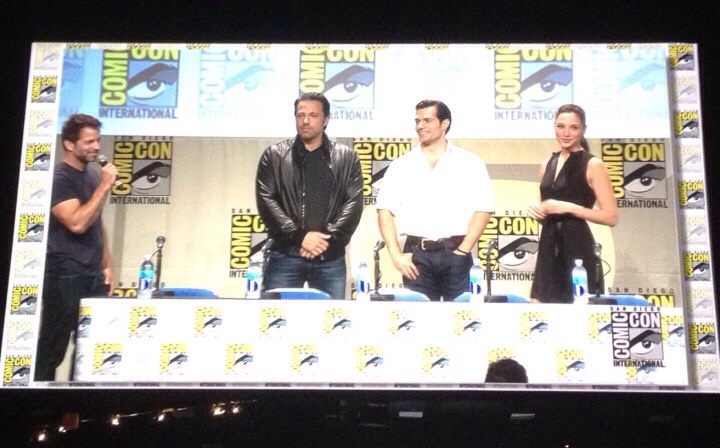 After the footage aired, Zack Snyder brought Henry Cavill, Ben Affleck, and Gal Gadot onto the stage. 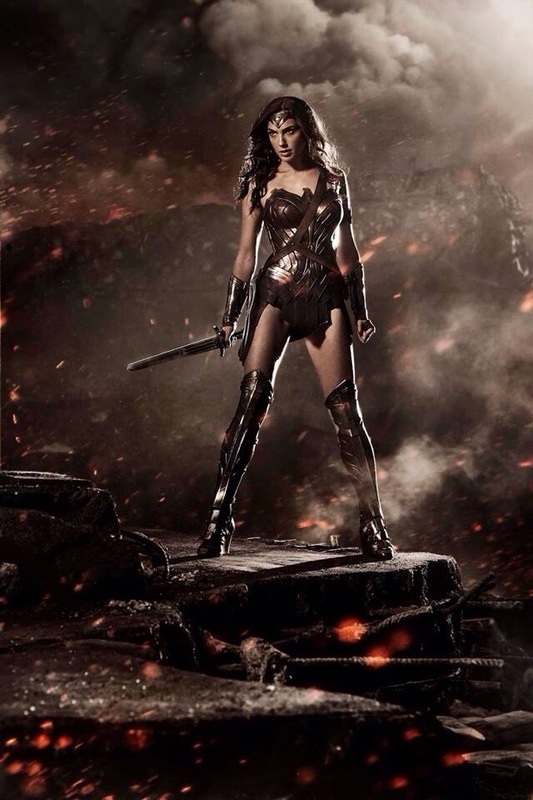 Throughout it all, Warner Bros. put up a picture of Gal Gadot as Wonder Woman online. 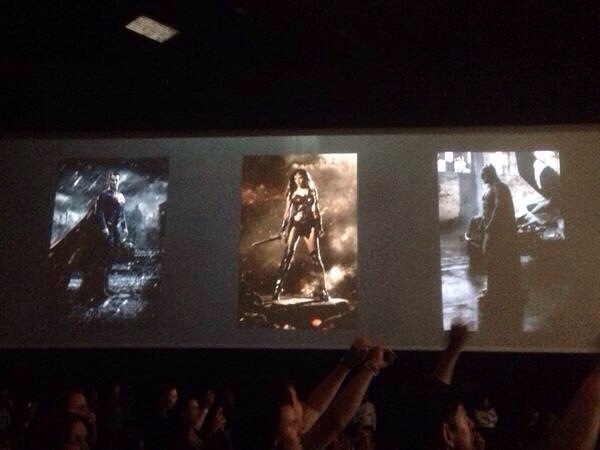 No word yet on anything else DC is planning, or whether they’re confirming their reportedly leaked movie lineup. 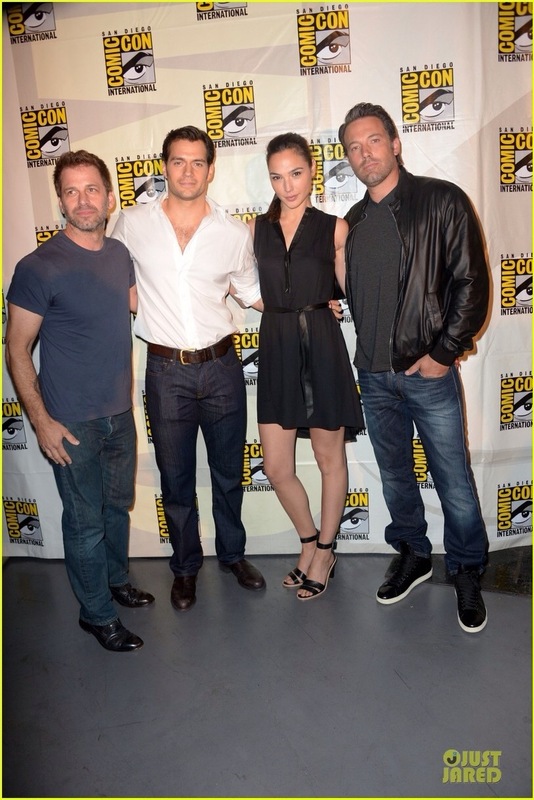 [UPDATE] Cast photos from after the panel have surfaced, featuring Henry Cavill, Gal Gadot, Ben Affleck and director Zack Snyder. 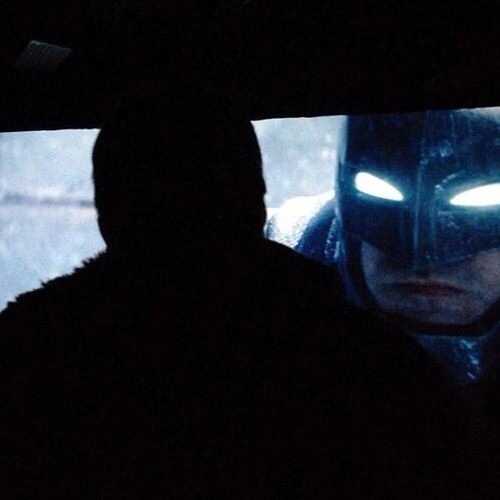 And although the official teaser trailer for BvS hasn’t yet leaked, here’s a screenshot of Batman in the classic bat-armor outfit from Frank Miller’s The Dark Knight Returns! If Ben Affleck can just top his performance alongside Chris Pyne in Smokin’ Aces the film might be very entertaining. Looks like she pumped a little iron. She was a stick before! It looks great! Washed out colors, like the Man of Steel Supes suit. Great to see after all of the fanboy rage about the casting choice. Fanboy rage about almost every casting choice. I never doubted she’d look good in the costume. But it is good to finally see. Hopefully it’ll quell some fan opinions.